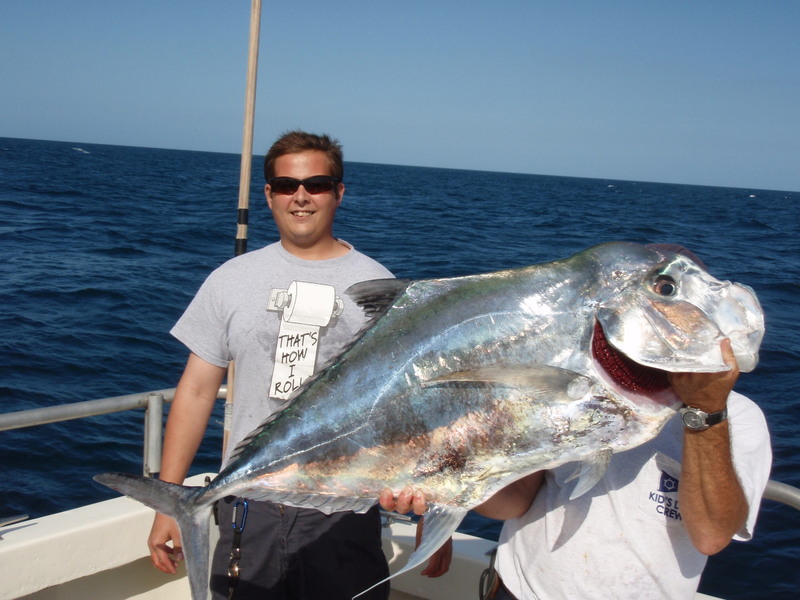 This lucky angler shows how he rolls as a crew member hoist his 40 pound African Pompano caught aboard the Lady K. Anglers can expect to see these large fish over the next couple of months as they pair up over reefs and local wrecks to spawn. African Pompano are members of the Jack family known as Trevally. When hooked, this fish will make a long, fast run seeking shelter near the bottom or around a wreck and use its wide flat side to fight against the current. Adult African Pompano feed on crustaceans and small bait fish while most juvenile fish are taken by anglers using cut squid.